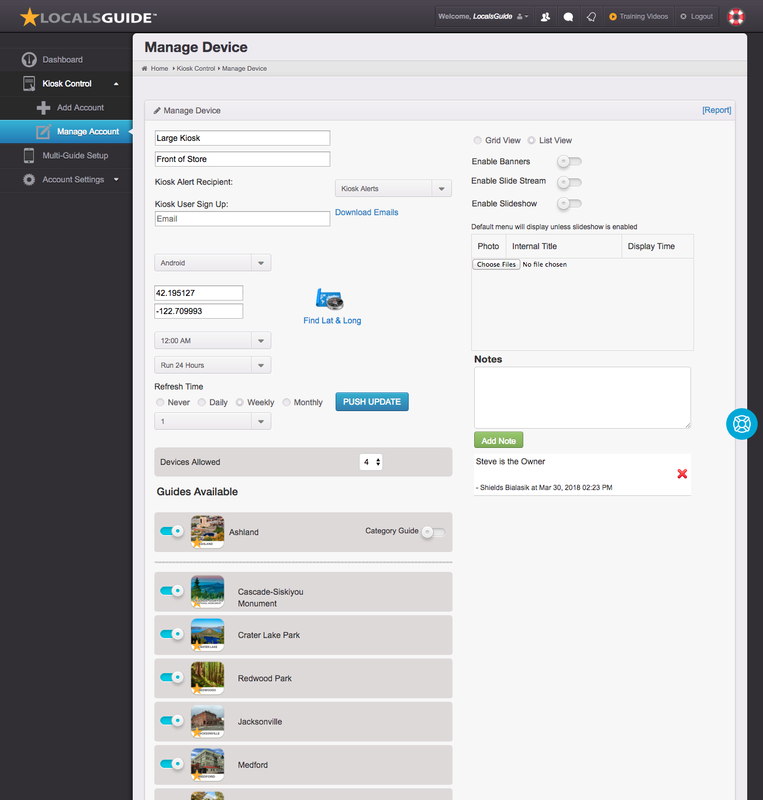 Manage and control all your visitor information kiosks from the kiosk control panel. LocalsGuide kiosk compatibility is in Android Tablet, iPad, large screen HTML and Large screen Touch Android. Add a new kiosk owner here. Easily add new kiosk devices to the owner account. Users can have unlimited kiosks under one subscription. Manage Kiosk Subscription – An internal tracking method to set current Kiosk Subscription status. View Kiosk Status and Overview. – Everything you need to know to see that your kiosk is online and performing properly. Setup email alerts for when the kiosk is offline. 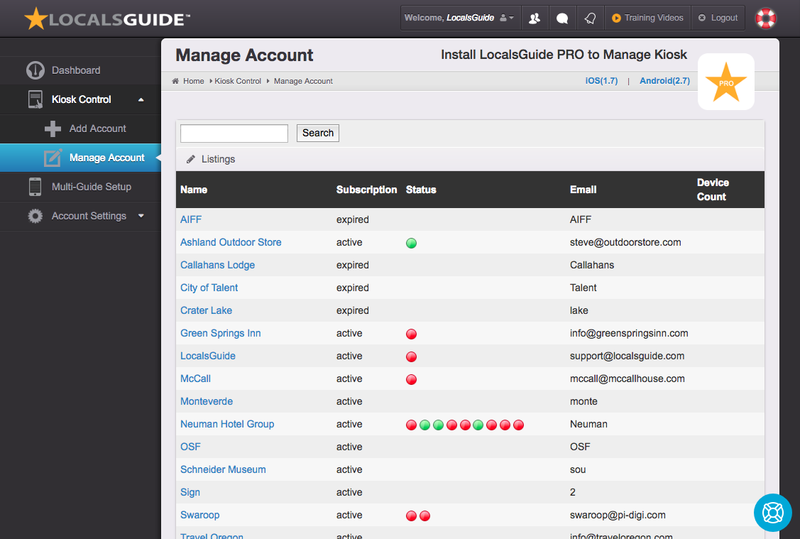 Advanced feature to be paired with LocalsGuide Signage Portal. The slide stream is a play list of advertising slides which display when the kiosk is not in usage. Enable a custom slide show to play when kiosk is not being used. Select what type of device you will be using. The maximum amount of device logins that can be assigned to this one account. Sometimes one kiosk setting can be used across multiple devices. Turn off and on the guides you would like to have displayed in your kiosk. A place for internal note keeping.